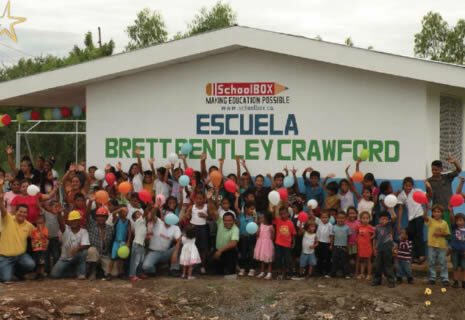 Update on The Brett Bentley Crawford Foundation School Brett’s Third and Fourth Schools finished! The second Brett Bentley Crawford School has completed and as of March of 2014 the expected enrollment had doubled! While 120 students were attending school at the previous school, a homemade structure of recycled materials, 244 students have enrolled! This is an amazing achievement, transforming the realities of the children of this tiny rural community and making their dreams of achievement come closer to reality.